The Simcoe County community has been around for 155 years. Simcoe County is located between Toronto on the south and Canadian Shield cottage country on the north. Its western border is the sandy and rocky shore of Georgian Bay, and its eastern border is the rural shore of Lake Simcoe. Georgian Bay is about 190 kilometres (120 mi) long by 80 kilometres (50 mi) wide. It covers approximately 15,000 square kilometres (5,800 sq mi), making it nearly 80% as large as Lake Ontario. Georgian Bay is a large bay of Lake Huron, located entirely within Ontario, Canada. The main body of the bay lies east of the Bruce Peninsula and Manitoulin Island. To its northwest is the North Channel. Georgian Bay is surrounded by the districts of Manitoulin, Sudbury, Parry Sound and Muskoka, as well as the more populated counties of Simcoe, Grey and Bruce. The Main Channel separates the Bruce Peninsula from Manitoulin Island and connects Georgian Bay to the rest of Lake Huron. The North Channel, located between Manitoulin Island and the Sudbury District, west of Killarney, was once a popular route for steamships and is now used by a variety of pleasure craft to travel to and from Georgian Bay. Georgian Bay shores and waterways are the traditional domain of the Anishinaabeg First Nations peoples to the north and Huron-Petun (Wyandot) to the south. Making it a major Algonquian-Huron trade route. The Town of Midland is situated at the gateway to Georgian Bay's picturesque 30,000 Islands. A very safe, clean and hospitable community, Midland has a population of over 16,000. It is the central location of the Southern Georgian Bay area and has a population of approximately 43,000 in a 15 mile radius. In summer months, the area population grows to over 100,000 due to over 8,000 cottages, resort hotels, provincial and national parks. Attractions include the Martyrs' Shrine, Wye Marsh Wildlife Centre, Sainte Marie Among The Hurons, Huronia Museum and Huron Indian Village. Midland derived its name from being approximately half way between Victoria Harbour and Penetanguishene. The Town of Penetanguishene is a picturesque community located on the southerly tip of beautfiul Georgian Bay. Penetanguishene is a historic community first recognized in 1793 by John Graves Simcoe with the establishment of a naval base. Incorporated on February 22, 1882, this thriving billingual community has grown to approximately 8,200 residents. - Discovery Harbour - a recreated naval and military base with Tall Ships. - 70 hectares of waterfront and inland parks. - Town Dock - full service transient marina and launch ramp at the Penetanguishene Town Dock. - Curling Club - Home of the World Champions and year-round special events. - King's Wharf Theatre - home of the Drayton Festival Theatre. - Converted turn-of-the-Century General Store - functions as the Town's Museum and Sports Hall of Fame. Penetanguishene dervied its name from the "White Rolling Sand" that blankets the many beaches in the area. Wasaga Beach has long been regarded as one of the premier tourist destinations in Ontario, Canada. Rated as the fastest growing community in Ontario, Wasaga Beach is located on the 14 km shoreline of the longest freshwater beach in the world. More than two million tourists travel here every year to swim in the warm, clean waters of Georgian Bay. The Town is also popular for its Provincial Park with recreation trails for hiking, cycling, cross-country skiing and snowmobiling. Wasaga Beach derived its name from Nottawasaga. Collingwood's location is in the heart of a four season natural playground, on the southern shore of Georgian Bay, the focal point of an area known as the Georgian Triangle. Collingwood is 104 kilometers (65 miles) north of Toronto's Pearson International Airport, a short 75 minute drive, which is easily accessible to Highway 400 via Highway 26. Collingwood is also a deep water port on Georgian Bay, that offers an opportunity for international cruise ship visitors to go ashore and explore Collingwood. Collingwood was named after Lord Collingwood, second in command at the Battle of Trafalgar. The present municipality was consolidated on January 1, 1991 to its present size of 20,453 hectares / 50,539 acres, 79 square miles encompoassing the communities of Bond Head, Bradford, Coulson, Deerhurst, Dunkeron, Green Valley, Newton Robinson, and Pickerton. A high priority is placed on the protection and enhancement of the community's agricultureal activities and natural environment, particularly the Holland Marsh which is a defining force in the community. The name Bradford came from Bradford, England where some of the original settlers originated. West Gwillimbury "Gwillim" was the maiden name of Lady Simcoe. The history of Innisfil, hewn from almost unbroken virgin forests which had been home to the Huron Indians, spans a period in excess of 170 years. The Township of Innisfil was surveyed in 1820 and was comprised of an area of 68,653 acres which at that time included Allandale, Tollendal, Painswick, Minets Point, and Holly.On January 1, 1991, by virtue of the South Simcoe Act, the Township of Innsifil, a north section of the Township of West Gwillimbury, and the Village of Cookstown were amalgamated and incorporated as the Town of Innisfil. Innisfil has a population of 26,000. Innisfil is a pictorial name for "Ireland". The Town of New Tecumeth was created in January 1991 and encompasses the former municipalities of Alliston, Beeton, Tottenham, and Tecumseth Township. The name Tecumseth came from a famous Shawnee Indian Chief called Tecumseh who fought and died for the British cause in 1813. A derivation of his name, Tecumseth, was given to the township on April 14, 1821 when the bill was passed in the Ontario Legislature establishing the names of the Townships that would make up Simcoe County. Tecumseth was a Shawnee Indian Chief Tecumseh. Barrie is a vibrant and attractive city with swimmable beaches and challenging ski opportunities on our doorstep. An abundance of parkland, totalling over 90 parks, comprising in excess of 300 ha. are scattered throughout the city. Several of these parks line beautiful Kempenfelt Bay with extensive biking, roller blading and walking trails. Cultural attractions include the renowned Gryphon Theatre, and international concert and performance venue at Molson Park the Barrie Molson Centre, a 4,200 seat multi-purpose entertainment facility, and the MacLaren Art Centre. Barrie derived its name after Commodore Robert Barrie, Head of the British Fleet at Kingston in 1828. Nestled between Lakes Couchiching and Simcoe, just 70 minutes North of Toronto, Orillia is a happy convergence of natural beauty and big city amenities. Orillia plays host to professional and community theatre productions, concerts, and meetings at the 106 year old Orillia Opera House. Fine dining opportunities abound and our re-vitalized downtown offers something for every shopper. The Stephen Leacock National Historic Site is just minutes away and the Port of Orillia offers one of the finest docking facilities on the Trent Severn System. Orillia derived its name from the Spanish word - "shore"
The Township has a total area of 344 square kilometers and has a coastline on Georgian Bay measuring 70 kilometers. The southern boundary, about 16 kilometers long, abuts the Springwater Township and the northern tip of the Town of Wasaga Beach. The eastern boundary, 17 kilometers long, marks the western boundary of Tay Township. The Township skirts the municipalities of Midland and Penetanguishene and embraces the coastline in a sweep around the peninsula. The Township of Tiny allows for great beaches and fishing areas as well as the wonderful golfing opportunities at the Brooklea Golf and Country Club and the Balm Beach Golf Courses. For the nature buffs, don't forget to visit our 3 inland lakes namely Farlain Lake, Lalligan Lake and Second Lake as well as the Tiny Marsh. Hike on the 17 miles of trails known as the Tiny Trails. Awenda Park, which is located northeast of the Township, is one of the largest Provincial Parks in Ontario. You can ski, camp, hike and bike on the numerous trails within the park. Come and discover the beauty and what the Township of Tiny has to offer. Tiny was name by Lady Sarah Maitland who named them after her dogs: Flos, Tiny and Tay. The township comprises the villages and rural hamlets of Ebenezer, Elliots Corners, Melduf, Mertzs Corners, Ogden's Beach, Old Fort, Paradise Point, Port McNicoll, Riverside, Sturgeon Bay, Triple Bay Park, Vasey, Victoria Harbour, Waubaushene and Waverley. We are proud of our heritage and value the unique environmental features,waterfront areas, and natural setting that are a part of our community. With our unique natural beauty on the shores of Georgian Bay, our strong heritage, our recreation, leisure and tourism opportunities, it's no wonder that many full time and seasonal residents call Tay Township home. Tay, like many other townships in the surrounding area such as Tiny Township was named after one of the several dogs owned by Lord Simcoe's wife. Port McNicoll was named after David MacNicol, a vice president of the C.P.R. Victoria Harbour was after Queen Victoria. The Township of Severn is a new municipally, founded on January 1, 1994, through the restructuring of Simcoe County. The Township of Severn is comprised of the former Village of Coldwater, Townships of Orillia and Matchedash as well as portions of the former Townships of Tay and Medonte. The Township's population was 11,250 in 2001. Growth will be directed to the communities of Coldwater, Washago, Westshore and Port Severn. The township of Severn is bounded by water and nestled within an intricate network of rivers. Approximately 30% of the township is comprised of crown land, home to interesting and diverse species of plants and animals, including the Massassauga rattlesnake. Severn also boasts the Matchedash Bay Provincial wildlife area, one of the largest waterfowl breeding and staging areas in Ontario. Travelers along the Trent-Severn Waterway enjoy a unique perspective of severn, from end to end. Visitors are intrigued by the Big Chute Marine Railway, the only operation marine railway in North America. It may be "resort to cottage country", but heritage and culture are also important dynamics of our community. The respected antics of the Village Players and the historical tales depicted in the Coldwater Canadiana Museum are fine examples. Township facilities such as the Coldwater & District Community Centre, Washago Centennial Park & Campground and municipal docks contribute to a vibrant recreation scene. Activities and programming opportunities for young and old are impressive, thanks to the efforts of many community organizations. Special events take place throughout the year and throughout our community - from Canada Day Celebrations to the Coldwater Stampede to Fall Fairs. Coldwater was known to the Ojibways as Gis-si-nay-se-bing; "cold river" or "cold water"
As long as 2000 years ago the area was populated by Native Indians, mainly the Hurons, who have left us fascinating archeological sites. French explorers, missionaries and fur traders travelled the region beginning in the 1600s. White settlers began arriving in the 1820s. They came mainly from England, Ireland, and Scotland. In 1819 a Black Settlement was established by government decree along Line 1 of Oro-Medonte. Previously, the Penetanguishene Rd, and Line 1, then called Wilberforce St, were surveyed and cleared, mainly as a defensive corridor to Georgian Bay during the hostilities with the U.S.
Oro-Medonte is a diverse and beautiful community with a central location in Ontario. A community of 18,315 full-time residents, Oro-Medonte covers a land area of 61,000 hectares, stretching from the northern border of Barrie and Lake Simcoe to the southern fringes of Orillia and north to Tay and Severn Townships. Oro is a Spanish word for - "Golden Sands" while Medonte is the Indian word- "Evil Spirit"
The Township of Clearview, one of the southern most municipalities in the Georgian Triangle, was established on Jan 1, 1994 by the amalgamation of the four municipalities of the Town of Stayner, The Village of Creemore, and the Townships of Nottawasaga and Sunnidale. On January 1, 1994, four municipalities - Sunnidale Township, Stayner, Creemore and Nottawasaga Township - amalgamated to form Clearview Township. Each of these municipalities brings a distinct history to the new township. The geographic location of this pro-development municipality is less than one hour from the Toronto Markets and the Toronto International airport. Clearview benefits from such natural resources as the Niagara Escarpment and the Blue Mountains as well as being in close proximity to the largest fresh water sand beach in the world, Wasaga Beach. Nottawasaga is based on the Algonquin words for "Iroquois" (Nahdowa), and "outlet of river" (Saga). Creemore was a selected by Senator J.R. Gowan, knowing the love of sons of Auld Scotia for their own, he selected two words of their gaelic language "cree mohr", meaning a "big heart"
Stayner was named after prominent local personage. The main communities of Essa Township are Angus (which is the largest community and the main access to the neighbouring Canadian Forces Base Borden) Thorton and Baxter. Other small hamlets are Cedargrove, Colwell, Egbert, Elmgrove, Hoe Doe Valley, Ivy, Utopia and West Essa. Historically, the primary economic activity of the Township was agriculture. Although in recent years the local economy has diversified to include a thriving commercial retail and service industry sector, farming and a rural based economy remains important to the overall economic well being of the municipality. Essa was named after an Indian Chief's daughter. The Township of Springwater was incorporated on January 1, 1994 as a result of restructuring in Simcoe County. The Townships of Flos and Vespra (excluding the Craighurst area) were amalgamated with the Village of Elmvale and the Hillsdale/Orr Lake area from the Township of Medonte. A small 200 acre parcel from the Town of Wasaga Beach was also merged with the new municipality. The Township of Springwater is a local municipality within the County of Simcoe, in the Province of Ontario, Canada. The Township is located approximately 100 Kilometres northwest of Toronto between the City of Barrie and the Town of Wasaga Beach. Highway 400 runs through the southeastern portion of the municipality and forms part of its eastern boundary. The Township is a collection of urban and rural communities. The population of over 16,000 is concentrated in nine urban settlement areas. The largest is Midhurst with a population of approximately 2400. Midhurst is located in south Springwater just north of the City of Barrie.. Elmvale is located at the junction of County Roads 19, 27 & 92 in north Springwater. Elmvale's commercial district serves its 1700 residents and tourist traffic destined for the cottage areas at Orr Lake and along the shores of Georgian Bay. Other settlement areas include Anten Mills, Centre Vespra, Hillsdale, Minesing, Orr Lake, Phelpston and Snow Valley. About half of the Township's 53,000 hectares are utilized for agricultural purposes. Another third of the land base is forested. These "greenlands" include the 6,000 hectare Minesing Swamp which has been internationally recognized as a RAMSAR site. Elmvale was originally known as "Elm Flats"
The township comprises the communities of Atherley, Bayshore Village, Bayview Beach, Bonnie Beach, Brechin, (Brechin is the largest of the communities) Brechin Beach, Brechin Point, Concord Point, Cooper's Falls, Fawkham, Floral Park, Fountain Beach, Gamebridge, Gamebridge Beach, Geneva Park, Glenrest Beach, Grays Bay, Floral Park, Hopkins Bay, Joyland Beach, Lagoon City, Lakeview Beach, Little Falls, Longford Mills, Mara Beach, Mariposa Beach, McDonald Beach, Millington (ghost town), Murphy Beach, New Gamebridge Beach, Oaklawn Beach, O'Connell, Orkney Point, Orkney Beach, Paradise Point, Point of Mara Beach, Prophet Beach, Rathburn, Riverside Beach, Sandy Beach, Sandy Pine Beach, Southview Cove, Talbot, Tanglewood Beach, Udney, Uptergrove, Val Harbour and Washago. The area is perhaps best known as the home of Casino Rama, which is actually located on the neighbouring First Nations reserve of Chippewas of Mnjikaning First Nation in Rama. Ramara Township is situated in Central Ontario along the north-eastern shores of Lake Simcoe and Lake Couchiching. 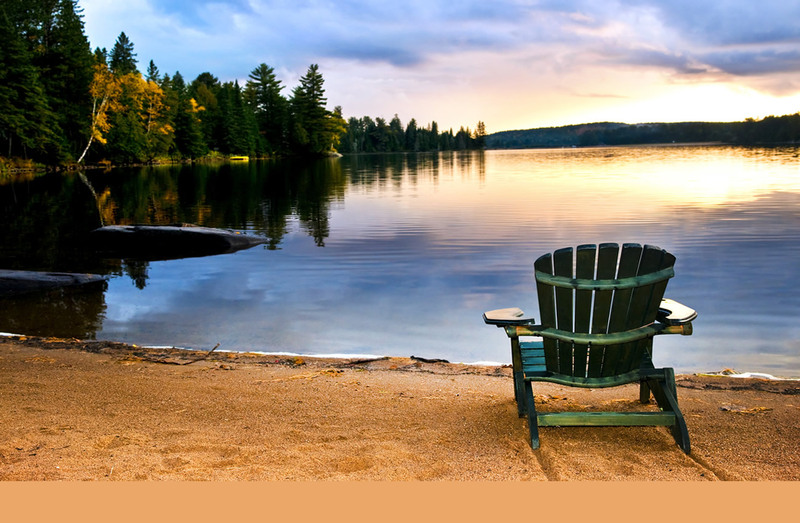 We are in the heartland of Cottage Country, offering a touch of urban lifestyle in beautiful rural surroundings. Ramara is a gateway to relaxation, recreational activities, and retirement communities. Miles of shoreline properties, clean water, public beaches, cottage rentals, summer resorts, family camping,, sporting activities, Casino Rama, conference centres (Geneva Park and Fern Resort) Lagoon City & Bayshore Village (retirement/resort communities) make up this rural township. The township comprises the communities of Achill, Airlie, Athlone, Ballycroy, Cedarville, Colgan, Connor, Everett, Glencairn, Hockley, Keenansville, Lisle, Loretto, Rosemont, Sheldon, Tioga and Tuam. A predominantly rural area, Adjala–Tosorontio contains numerous small villages and hamlets. Many communities were started in Adjala by Irish Catholics who named their hamlets after their home towns in Ireland, or after prominent pioneer families who first settled the area. The municipality has increasingly become home to residents who commute to the Greater Toronto Area. Geographically the area is rolling countryside below the Niagara Escarpment to the west, with the Nottawasaga River river cutting through it. The Municipality that we see today is the result of an amalgamation on January 1 1994, of the former Township of Adjala and the former Township of Tosorontio. Adjala-Tosorontio derived its name from Adjala The wife of Tecumseh, a Shawnee chief and Tosorontio is a Huron word meaning "Beautiful Mountain"